Chef Valton was born near Reims, in Eastern France. 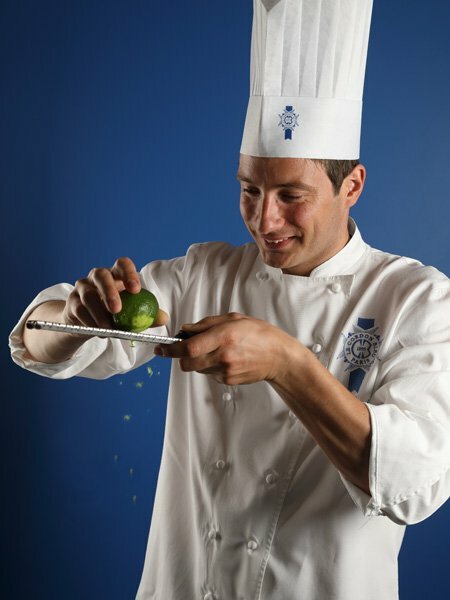 With his “Certificat d’Aptitude Professionnel (CAP)” in hand, Vincent Valton began his career as an apprentice pastry chef at Le Four à Bois pastry shop in Reims, where he remained for more than two years. In 2005, Chef Valton decided to leave his native region and headed to Lille, where he worked for around a year at the Pitman pastry shop. Vincent Valton then set up home in the South of France where he was recruited as a pastry Chef by the Relais & Châteaux Saveurs Sucrées du Jardin des Sens. He specialized in adding the finishing touches to small cakes and in the position of “Pastry Tourier”. In order to perfect his pastry skills and expand his culinary horizons, Chef Valton left France and worked in different locations around the globe. His first port of call was Melbourne, Australia, working at Pâtisserie Laurent, a renowned French bakery/pastry shop. He then moved to New York for two years, working in a pastry shop in central Manhattan, Financier-Pâtisserie. Vincent Valton nurtured his pastry talent and perfected his skills in a number of different positions in the company. To round off his international experience, Chef Valton set off to discover Asia and specifically Japan. He worked as pastry sous-chef at the Gregory Collet pastry shop in Kobe, where he was in charge of a team of 5 people and production. His talent also gave him the opportunity to work alongside his boss to create innovative new pastries. Upon his return to France, Chef Valton continued his career as Research and Development Manager for Fauchon Paris, where he remained for almost 5 years. This experience led him to specialize in making modern and classic pastries. Chef Vincent Valton joined Le Cordon Bleu Paris institute team of Chef Instructors in 2017.